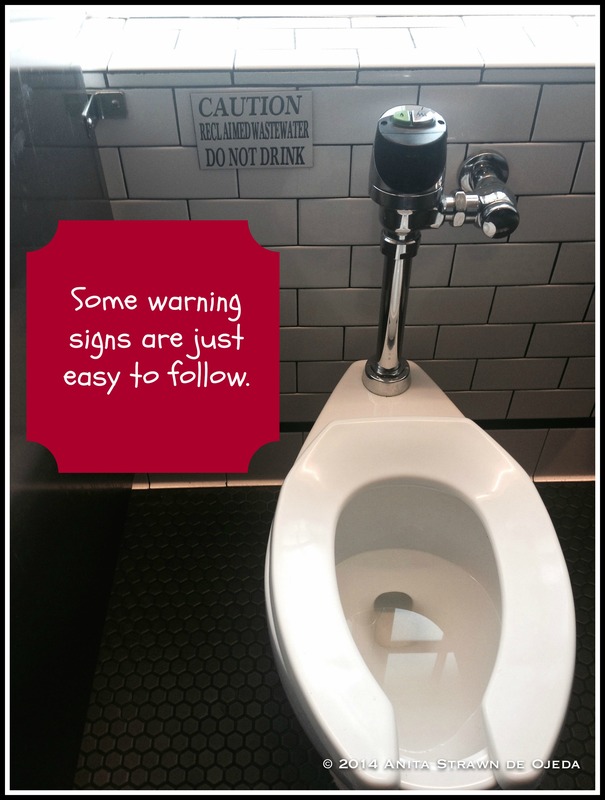 Why do find it easy to follow some warning signs and ignore others? It all started on Friday when I discovered that Pedro’s group of bicyclists for our school’s Super Sunday activities only included three students (so they didn’t really need me) and that the group that planned on hiking from the rim of the Grand Canyon to the Colorado River and back to the rim lacked a female chaperone. For some reason, hiking 16 miles appealed to me more than a two-hour mountain biking trip, so I volunteered. I have a history of accepting outlandish physical challenges and failing to properly prepare, so this time I would prepare. My alarm went off Sunday morning and I jumped out of bed, ready to relax a little before the rigors of the day. And then I looked at my phone and realized that my 3:00 am alarm had not gone off and I should have already arrived at the bus! I texted the group leader and he graciously agreed to wait five minutes while I threw on my clothes, grabbed my trekking poles and ran out the door. I despise lateness and I take pride in always arriving on time. The group gathered to look over the rim towards our destination—a crevasse in the canyon clouded in morning mist and bright shafts of sunlight. 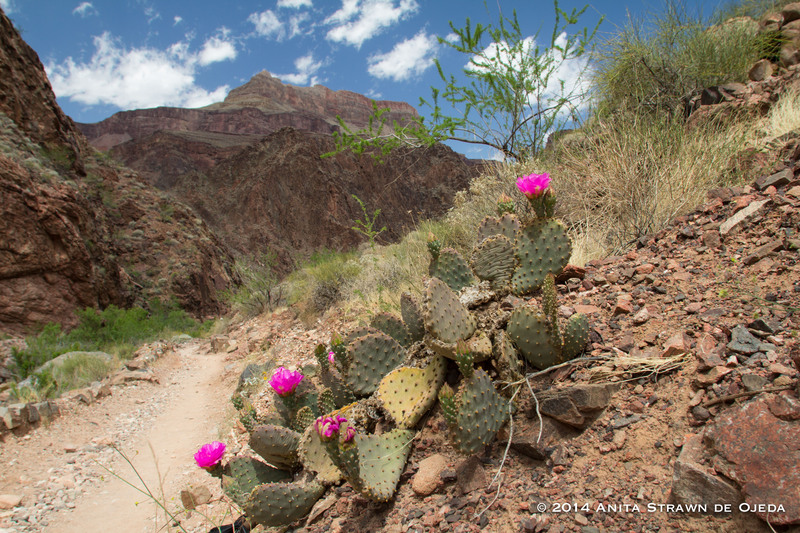 We warned students about keeping properly hydrated and fueled, and then took off down the trail—breezing by the sign that warned hikers to never attempt to hike from the rim to the river and back in one day. I figured my role at the end of the group would allow me to snap a few photos on the way down, and if a student decided that they couldn’t make it, I’d have a way to entertain myself whilst we waited for the others to head back up. I carefully followed the advice about proper hydration and food intake, and every twenty minutes or so, I had a handful of nuts and M&Ms and a drink of water. 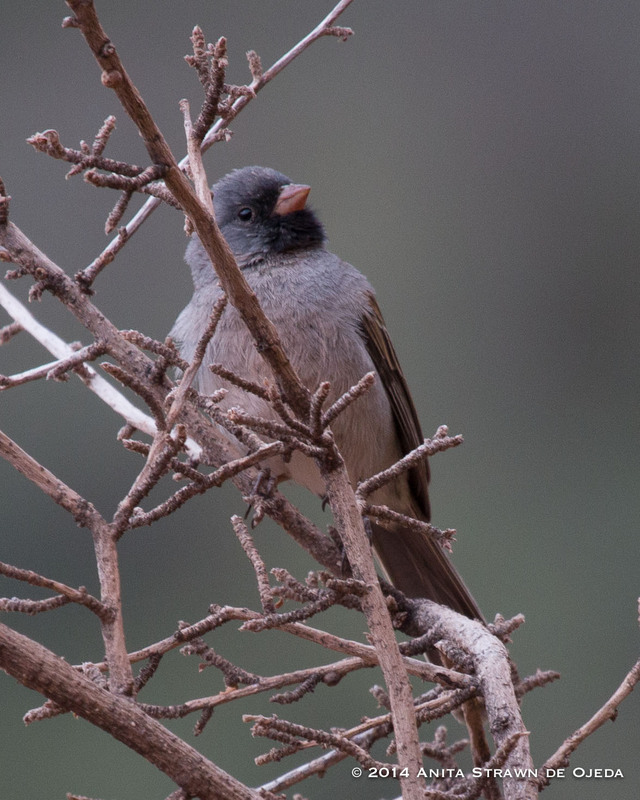 I also kept my birding obsession to two stops when birds I hadn’t seen before happened to sing out close to the trail (I hoped to see a California Condor, since I’d seen reports that they frequented the area). This made me laugh. I just kept a steady pace (and ignored the advice about resting for at least 5-10 minutes every hour to reduce lactic acid build-up in my muscles—I had stopped to take some photos, and didn’t want to make the group wait too long for me). 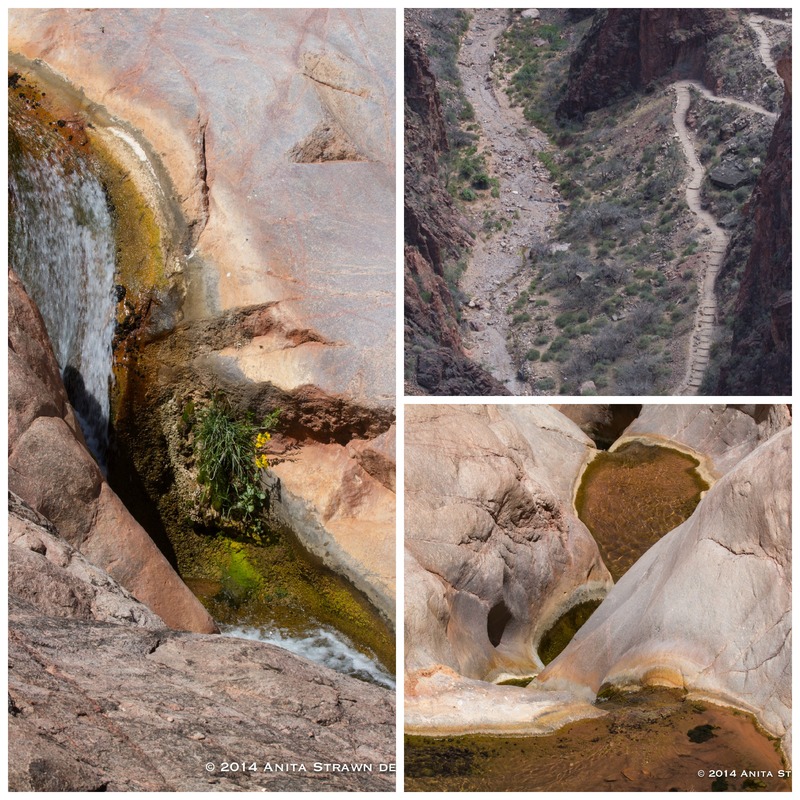 After filling up our water bottles, we headed out again—this time our legs had a mile or so of gently sloping terrain before we dropped down into the bottom of the canyon. The cottonwoods and willows provided a beautiful, shady canopy, and a spring-fed stream gurgled and helped me think cool thoughts as the temperature rose. From up on the rim, I never imagined the beautiful dichotomy of the desert canyon with an oasis springing up at the halfway mark. 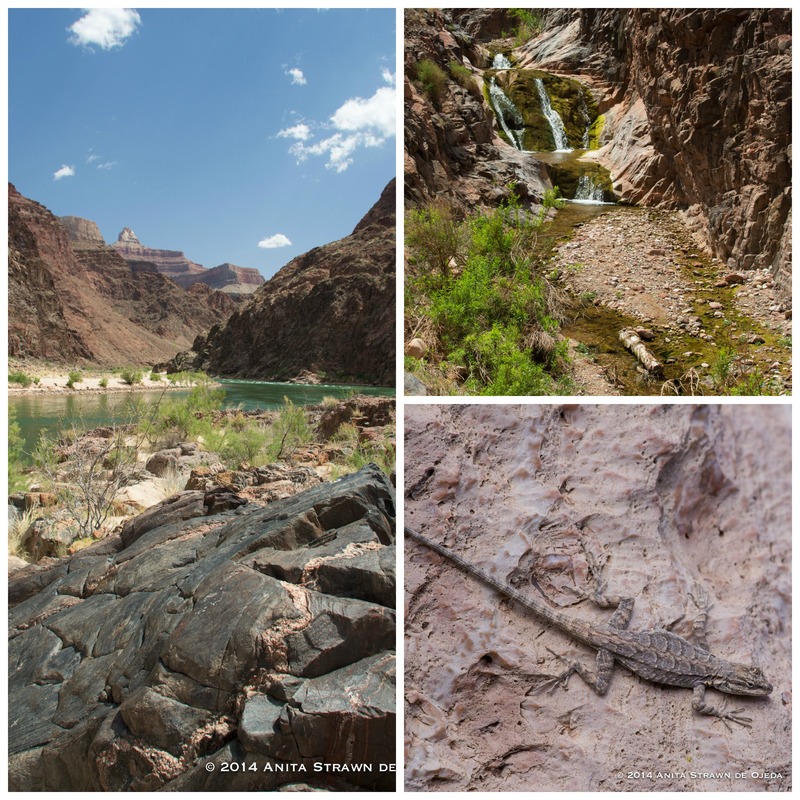 When one hikes to the bottom of the Grand Canyon, one will travel through five ‘life zones’ (does this mean that one ages more quickly due to the strenuous nature of the hike?) that equal starting in Canada and ending up in Mexico (and then hiking back up to Canada—all hopefully before dark). I won’t drink toilet water, but I will try this! 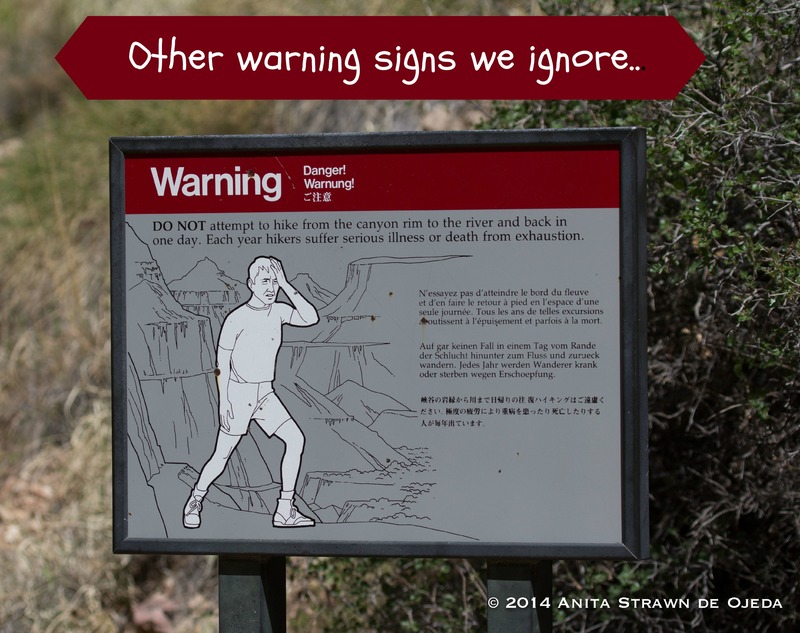 We passed another warning sign advising against hiking to the river and back in one day. I ignored it. I had confidence in my physical abilities—after all, I run 12-18 miles a week plus do a rigorous weight-bearing/cardio routine five days a week. 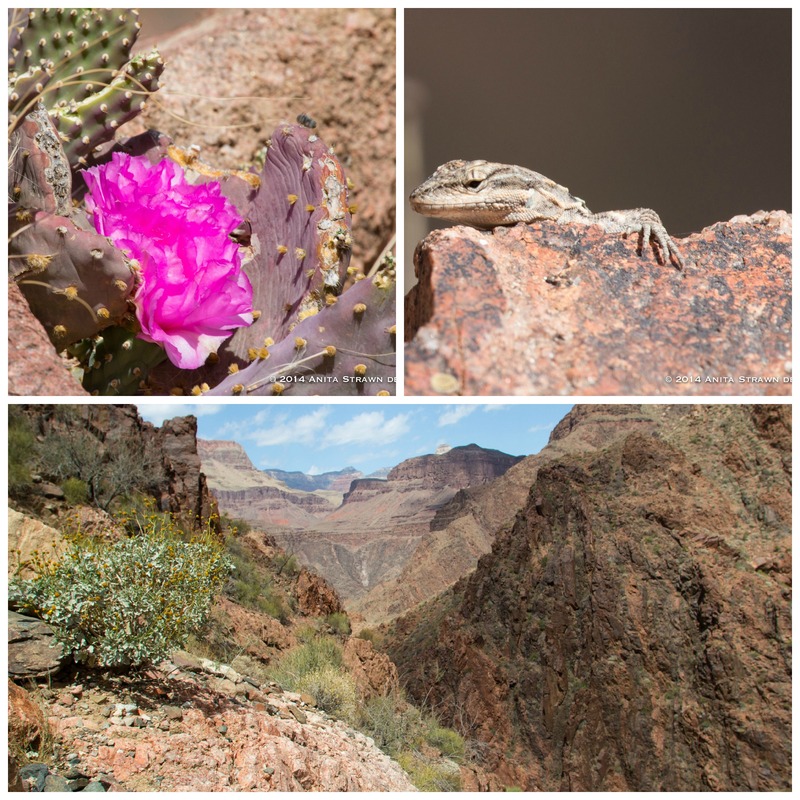 By the time I reached the lower desert regions, the temperature had risen to almost 90 degrees—the cool breeze blasting down the canyon kept me from suffering too much (I hate heat). When I reached the river at 11:30, a beautiful sand dune and the happy shouts of our students greeted me. I sat down for about five minutes to eat my lunch, but spent the remainder of the thirty-minute break photographing the river, the towering canyon walls and the crazy students that splashed in the frigid water. 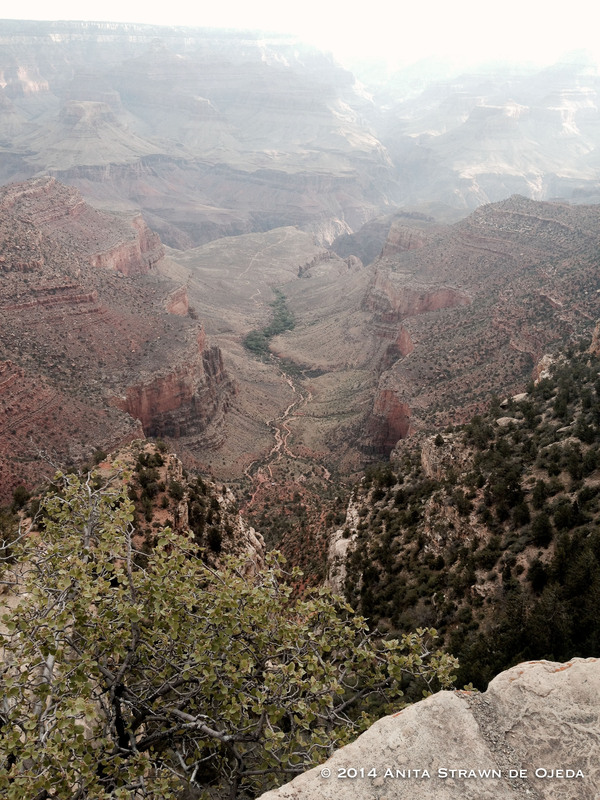 When standing at the bottom of the canyon, you can’t really see where you hiked from. As we headed back up the canyon, I got to hike at my own pace (and I chose medium fast); our leader would bring up the rear. I took more photos on the way up (the perfect excuse for taking short breaks), and didn’t see any of the students that had sprinted ahead until about a half a mile above Indian Garden—where the trail starts some serious switchbacks and elevation gain. As I climbed, I questioned my sanity. I seem to take on these crazy physical challenges and then regret them when I have passed the point of no return. Each time I get embroiled in a challenge, I learn something about myself (usually that I need to get in better shape and pack a bigger variety of food). This time, Shaun T.’s voice kept ringing in my head: “Don’t just throw those legs up there! Use your core!” Thanks to his coaching in the Insanity and Focus T-25 DVD workouts, I actually understand how to use my core. I felt tired, but not exhausted. I still ignored the advice to stop for a long break every hour or so—this time because I didn’t want to arrive at the bus last a second time in one day (plus I had the keys to the bus). I spent the last four miles of the hike encouraging the two students who I’d caught up to. When one of them wanted to lie down in the middle of the trail, I explained that he looked like the perfect California Condor lunch, and since I hoped to see one, I’d wait around with him until the birds started circling. He changed his mind and decided he could go a little further. I confess that his tiredness stoked my ego just a bit—after all, I felt a little tired, but I knew I could make it. My bag of peanuts and M&Ms ran out (I never want to eat another M&M) about the same time I thought I had a rock in my boots. I sat down to empty out the rocks (and wondered, once again, if perhaps I should check for rocks in my head instead). It turns out I had a blister on the inner edge of each of my heels. Thankfully, I only had a mile and half to go to reach the top. As we neared the top, we planned our celebration and marveled at all of the tourists from around the world who had hiked over a mile down the trail without water, snacks, decent shoes (we saw dress shoes, cowboy boots and flip flops), or proper clothing—one lady wore a dress! The view from about halfway down the trail to Indian Garden. When you stand on the rim and gaze out at Indian Garden, your mind automatically skips over the fact that you have to go down a trail you can’t even see from the top for over FOUR miles. And then once that trail disappears over the lower plateau, it will take another FOUR miles to reach the river. Watching unsuspecting tourists wander down the trail made me realize why they had the warning signs. People read that the canyon is one mile deep and forget that it takes eight miles of switchbacks to achieve one mile of depth. The downward slope seems doable, and hapless tourists just take ‘one more step to discover where the next switchback leads and then find themselves in too deep to get out without real suffering. I smirked inwardly that I had prepared so well and would no doubt be ready to run my customary three miles in the morning. We garnered strange looks and a few polite smiles as we passed the Kolb Brothers’ studio (the official trail head) and shouted with glee. I hadn’t seen a California Condor, but I could claim that I’d made it from the rim to the river and back in nine hours and seven minutes—not bad for an old lady—and ahead of five others from our group! I groaned. I didn’t feel like moving…or carrying my camera bag anywhere—even across the parking lot and to the front of Bright Angel Lodge. Even to see a California Condor (a true sign of my real tiredness, that I wouldn’t want to go find a bird for my life list). “You should go look for them, Mrs. Ojeda,” my student encouraged. “You’re right. I should,” I replied. I took everything but my camera out of my bag and hauled myself out of the bus and hobbled to the front of the lodge, searching for a group of people who looked excited to see something. No luck. I went inside and bought an ice cream cone as my reward for surviving the hike and sat on a bench outside to eat it. As I enjoyed my treat, I wondered again what I had been thinking to impulsively volunteer to go on a hike because I have a need to prove that I could do it—and do it better than other people my age. 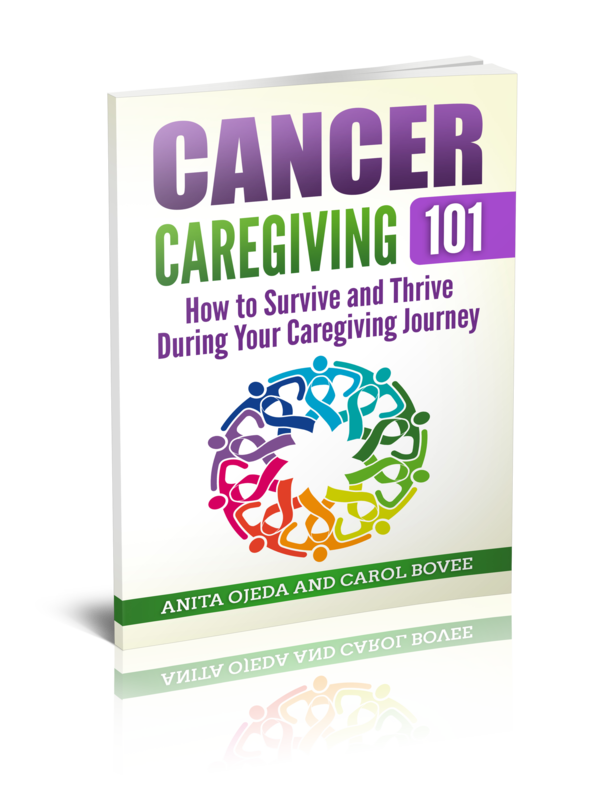 Something I have struggled with since my first sentence at the tender age of two—‘No! Me do it!’ That attitude, combined with a large dose of pride, can create a deadly combination. My need to prove I could do something spectacular and then pretend afterwards that it had been no big deal had caught me again. Already, I could feel the effects of not resting adequately on the way down or on the way up. I wondered what I’d feel like in two days. I wandered over to the rim one last time, and glanced to my left. There, not 200 feet away and 60 feet below me, two California Condors perched on an outcropping of rock in the late afternoon sun. 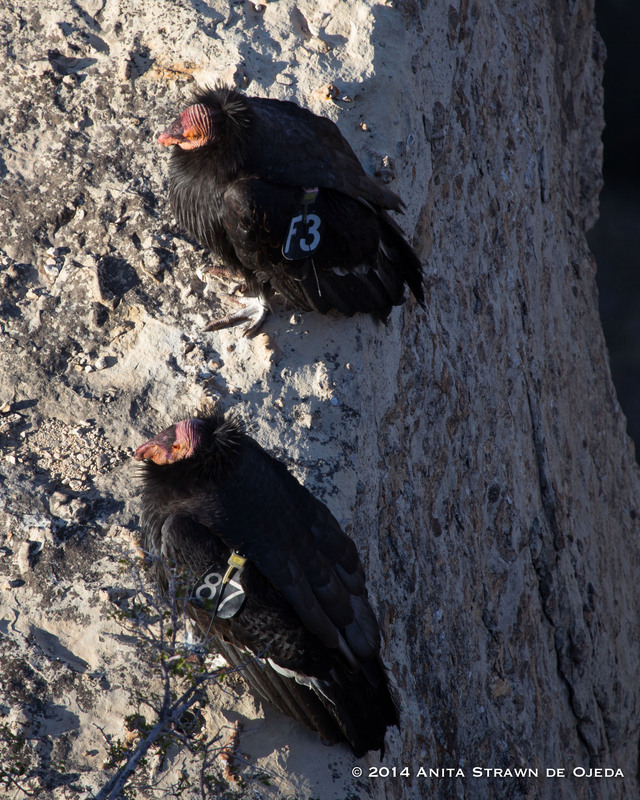 California Condors are all radio tagged and numbered due to their status as an endangered species (they almost went extinct in the 80s). I snapped a few photos, than noticed a better vantage point from the terrace of the gift shop right above the outcropping of rock. I managed to hobble over and gingerly hoist myself down the steep steps to the terrace (going downhill hurts a lot more than going up hill) where I got some great views of two birds that are so ugly they’re cute. To think! 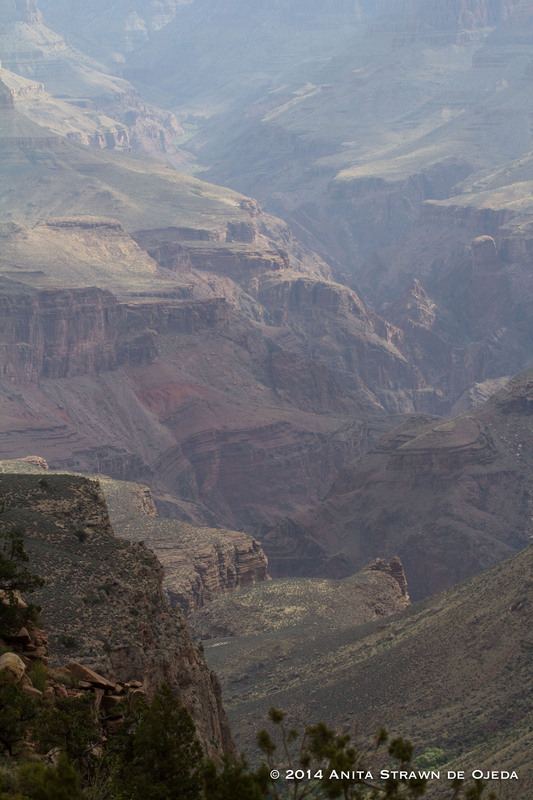 I didn’t need to hike to the bottom of the Grand Canyon to see the condors—I could have waited at the rim. But life is about balance—having a healthy respect for rules and guidelines, but keeping constantly prepared for an adventure; taking pride in my accomplishments, but not comparing myself to other people. 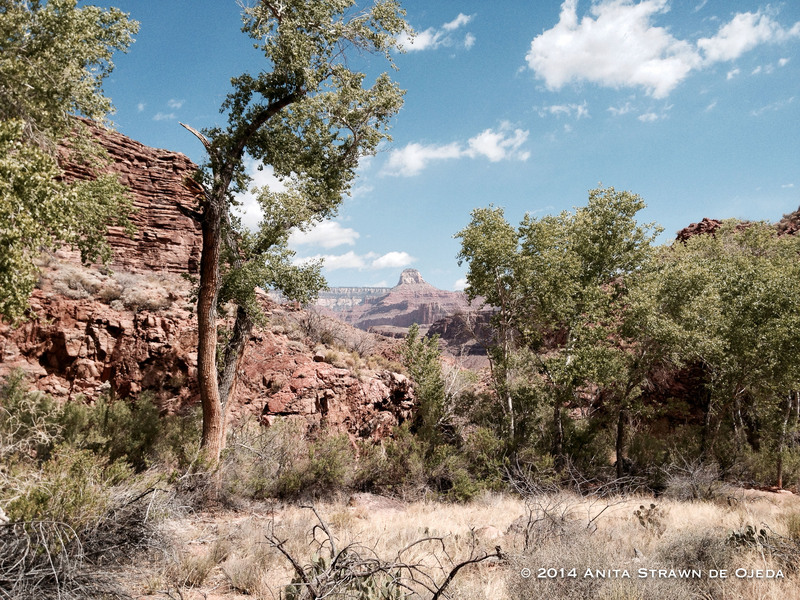 Like the Grand Canyon, I am an ever-changing canvas on which my Creator works the beauty of his love. Obedience – It’s All in the Love!